. 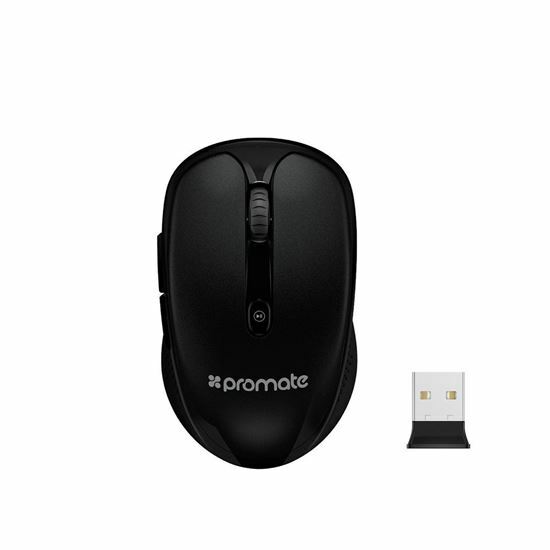 PROMATE 2.4Ghz Wireless Optical USB Mouse. Auto-sleep function. 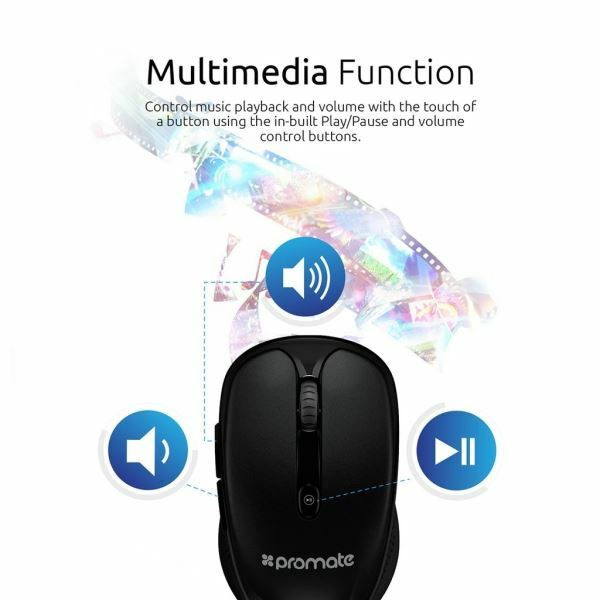 PROMATE 2.4Ghz Wireless Optical USB Mouse. Auto-sleep function. 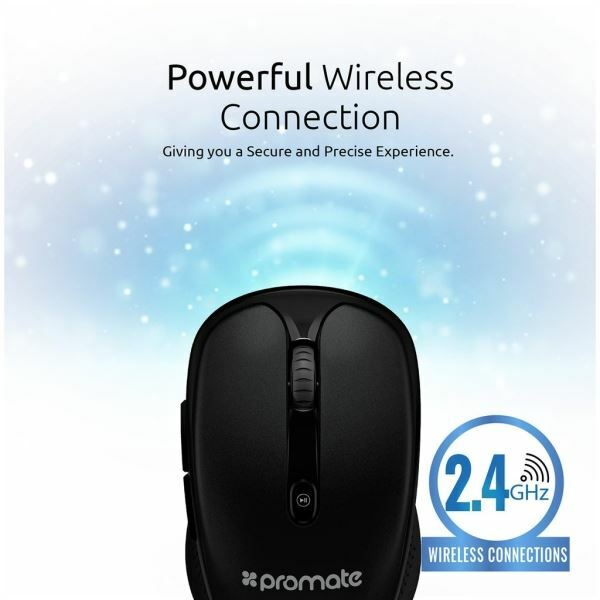 PROMATE 2.4Ghz Wireless Optical USB Mouse. 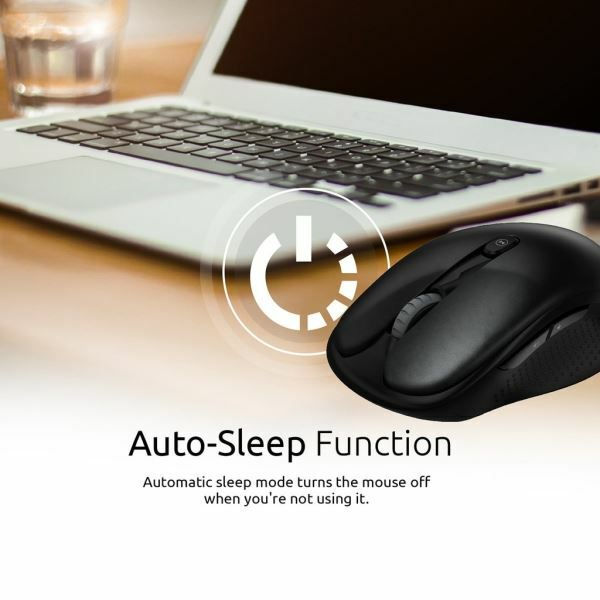 Auto-sleep function. Multimedia function. Nano receiver. Compatible with Windows & Mac. Colour Black. 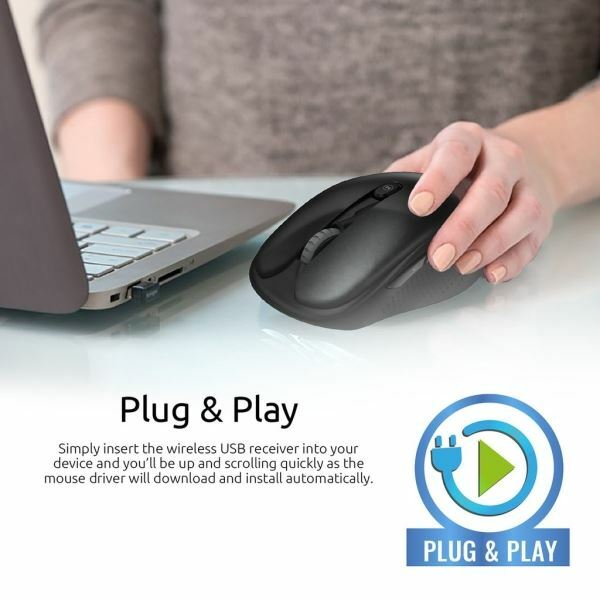 Plug & Play: Simply insert the wireless USB receiver into your device and you’ll be up and scroll quickly as the mouse driver will download and install automatically. Multimedia Function: Control music playback and volume with the touch of a button using the inbuilt Play/Pause and volume control buttons. Nano Receiver: The tiny receiver stays in your notebook or desktop without affecting other USB ports. 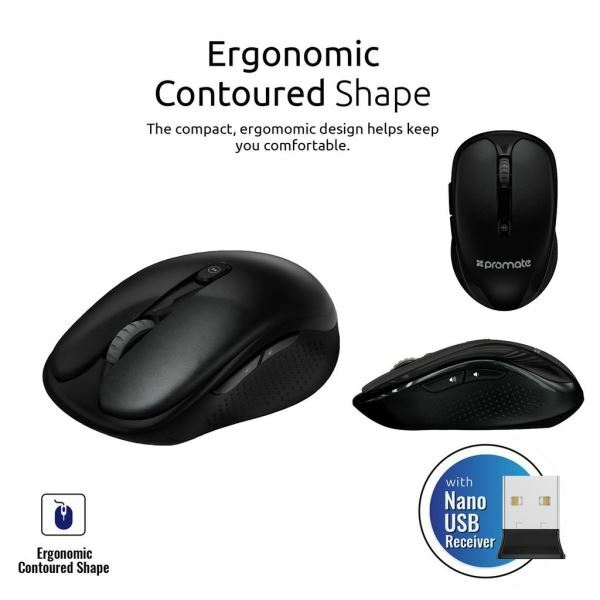 Ergonomic Contoured Shape: The compact, ergonomic design helps keep you comfortable wherever you want to use your laptop—at home, at work, or on the go. 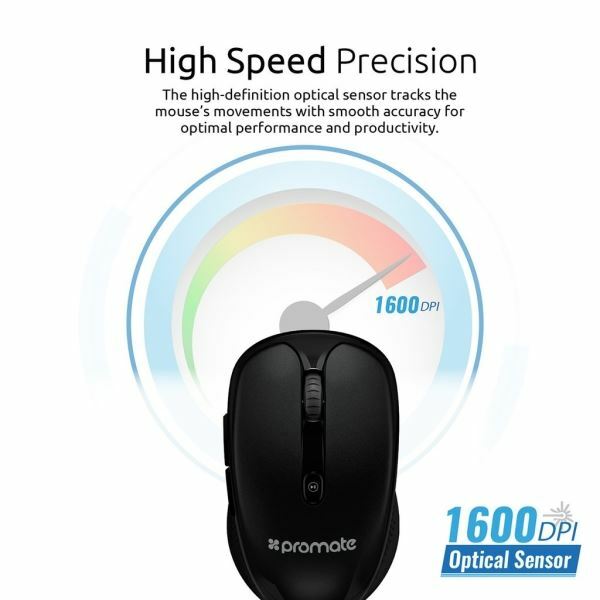 The high-definition optical sensor with dual dPi which can be changed at the click of a button tracks the mouse’s movements with smooth accuracy for optimal performance and productivity. 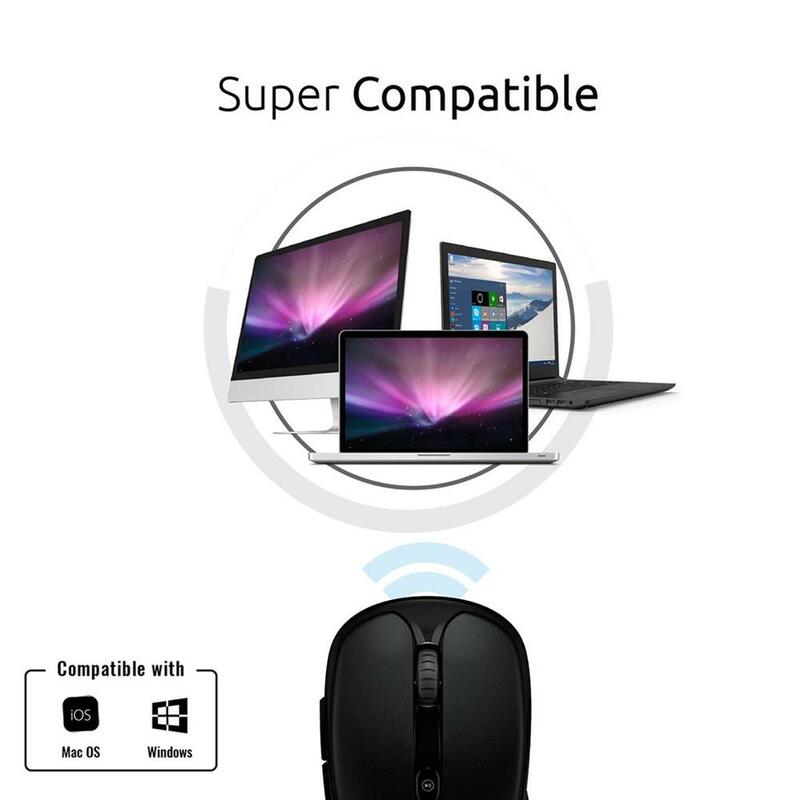 Simply insert the wireless USB receiver into your device and you’ll be up and scrolling quickly as the mouse driver will download and install automatically. Control music playback and volume with the touch of a button using the in-built Play/Pause and volume control buttons. The tiny receiver stays in your notebook or desktop without affecting other USB ports. The compact, ergonomic design helps keep you comfortable wherever you want to use your laptop—at home, at work, or on the go. 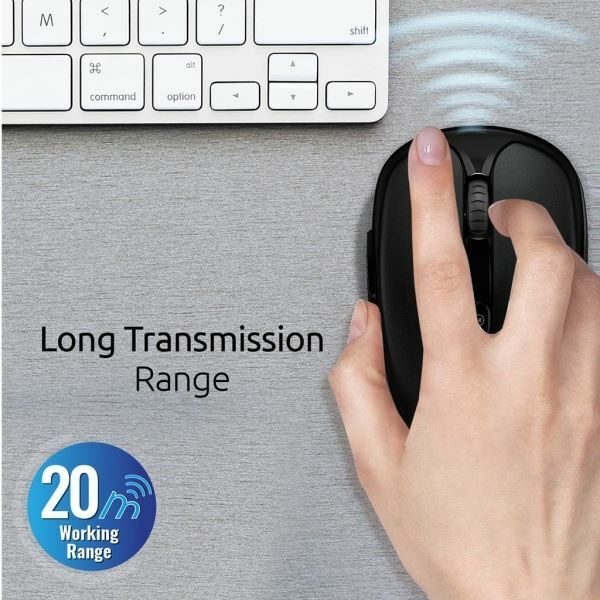 Using a compact nano receiver, provides the ultimate freedom and mobility for your mouse with a completely reliable wireless connection so you can always be productive.